Flair was reportedly admitted to the ICU with "heart-related issues," according to ProWrestlingSheet. 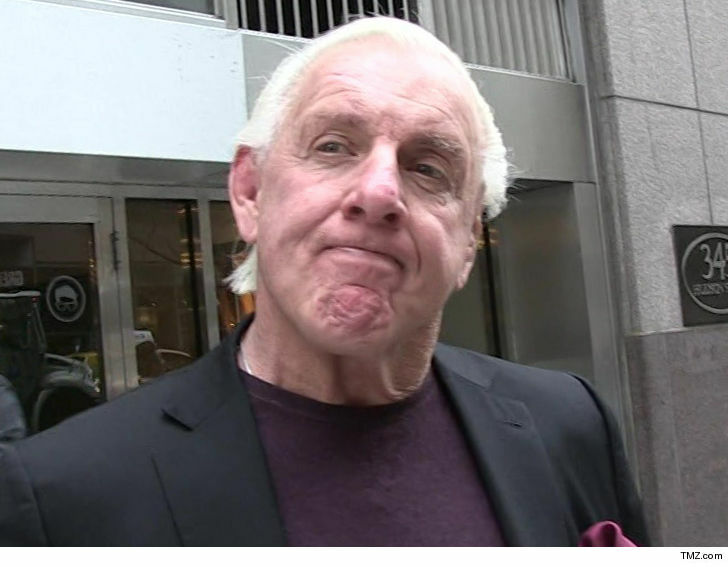 Saturday, news broke WWE Hall of Famer Ric Flair was hospitalized. One report said the 67 year old Nature Boy was in the intensive care unit with a heart issue, but his management team issued a statement saying it was just “routine monitoring”. Still no word from WWE, or daughter Charlotte, who spent the weekend doing promotional work for the company in China, but is advertised for a SmackDown house show in Providence, Rhode Island tonight. Keep Naitch in your thoughts, and we’ll keep you posted with any updates on Flair’s condition. Melinda Morris Zanoni, the CEO of Legacy Talent LLC, tweeted out the latest on Flair's situation late Sunday night. As first reported by Pro Wrestling Sheet, Flair was hospitalized on Saturday morning for heart-related issues, with Zanoni initially reporting the situation involved "routine monitoring." PW Insider's Mike Johnson reported that Flair is hospitalized near his home in Atlanta. Flair, 68, has spent the past five decades of his career in the world of professional wrestling with a reputation as one of the most charismatic personalities in the history of that business. His popularity and personality have transcended into the world of professional sports on many occasions, with players recreating some of his most famous wrestling promos and Flair himself often called to serve as a motivational speaker. 0 Response to "Ric Flair HOSPITALIZED 'We Need Your Prayers'"